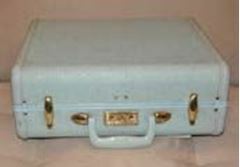 Light blue / Tiffany blue suit case. 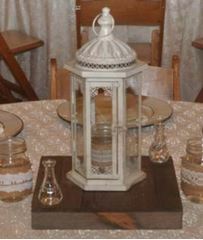 Inside is lined with lace. 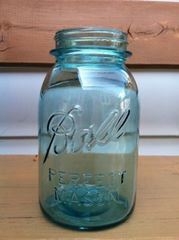 Ideal for vintage decor and perfect for gift cards, advice notes. 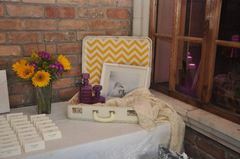 Brown suit case. 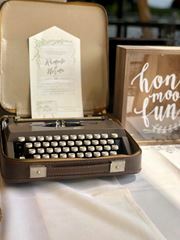 Ideal for vintage decor and perfect for gift cards, advice notes. 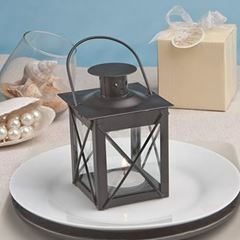 Can be used for groom's cake stand too. 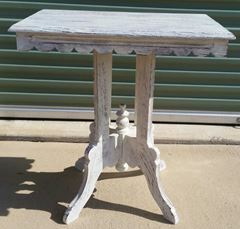 Vintage table; vintage distressed table; shabby chic table. 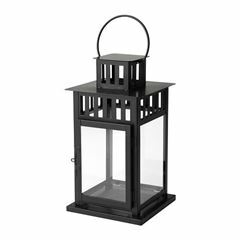 Small black lantern. 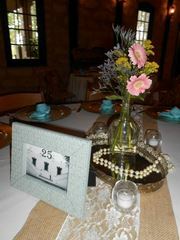 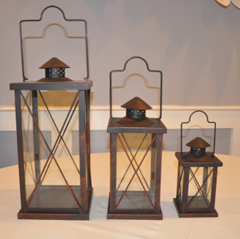 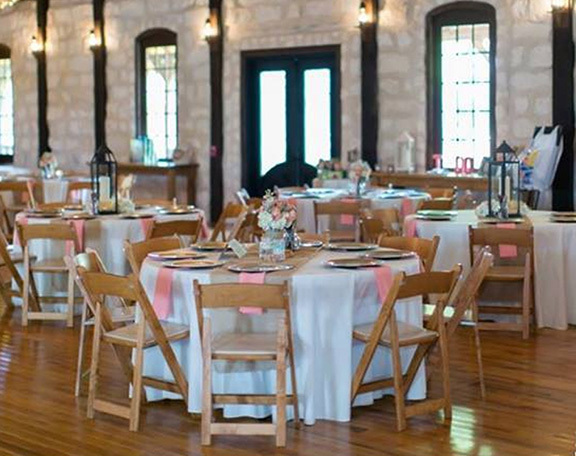 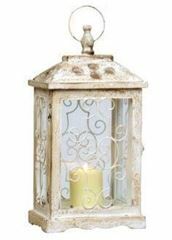 LED candles are NOT included but are available to rent. 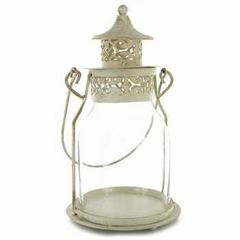 Small white lantern. 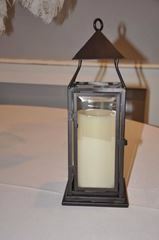 LED candles are NOT included but are available to rent.